A Few Clouds go a Long Way! 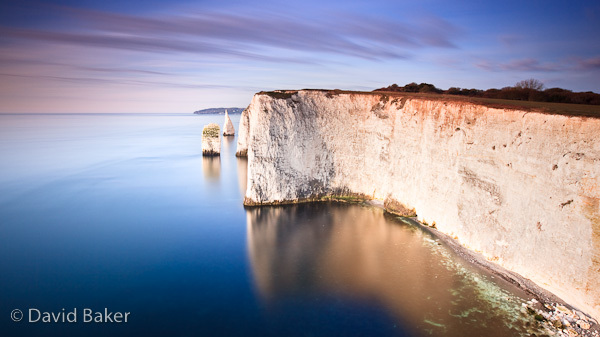 Another Lee Big Stopper image, shot from Old Harry Rocks looking towards the Pinnacles and Swanage in the distance. It was a bright sunny morning but there was little in the way of cloud, the 225 second exposure has allowed a few small clouds to streak across the sky adding some interest to what would normally have been pretty ordinary scene. ~ by David Baker on 17 March, 2010. The long exposure has created a surreal, almost glass like reflection. Hi Dave, it has the sea was dead calm which helped.